Girlfriend From Hell comes to Frog & Bucket, Manchester. 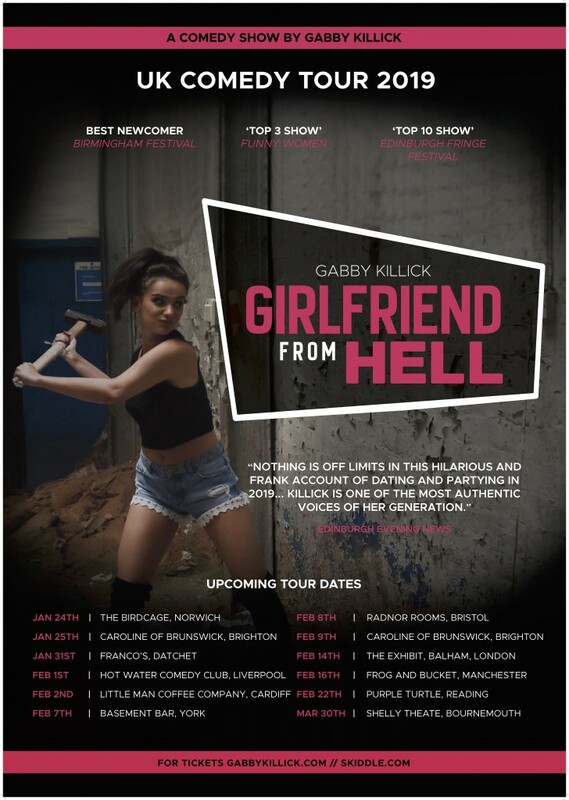 Gabby Killick’s Girlfriend From Hell comedy show took the Edinburgh Festival by storm. Already voted one of the UK’s top three shows by the Funny Women organisation, GFH was named as one of the top ten shows at the Fringe by the Edinburgh Evening News. Girlfriend From Hell offers advice on everything from when it’s time to start stalking your boyfriend to what to do when you’ve taken too much ketamine. It also supplies top tips on the sexiest Instagram poses and how best to react after losing your skirt in a night club. This show has something for everyone!